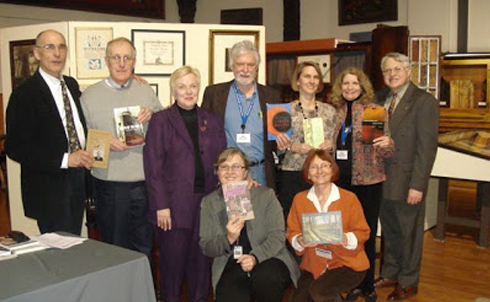 On February 12, 2009, The Polish Museum of America hosted a reading by five Polish American writers: Anthony Bukoski, Linda Nemec Foster, John Minczeski, Leslie Pietrzyk, and me. The event was a powerful emotional experience for all of us. Speaking for myself, I know that it’s not often that I have the opportunity to read to an audience of people who share my Polish heritage, and when I do such readings, I always feel a strong connection that is hard to explain. It’s a connection that goes beyond words (whether Polish or English), beyond present circumstances, and beyond borders. Thank you so much for your successful efforts, and please convey my sincere thanks to Linda, Leslie, John, and Anthony. Guests present are still commenting to me about the uniqueness and artistic fullness of the evening. This was a new and magical event for the PMA, and I can assure you it will not be the last. Despite my being transfixed, I glanced around the Hall and observed the same. To me personally, your writings parallel so much of my own experience, even though our family did not remain in Chicago’s Polonia. Driving home, I blessed and thanked my parents even more than in the past! Anthony Bukoski has published five story collections, four with Southern Methodist University Press, including North of the Port and Time Between Trains. Holy Cow! Press recently reissued his first book, Twelve Below Zero, in a new and expanded edition. A Christopher Isherwood Foundation fellowship winner, Bukoski teaches English at the University of Wisconsin-Superior. 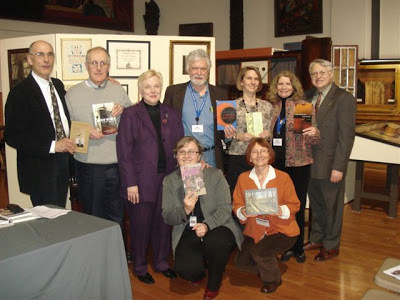 Linda Nemec Foster is the author of eight collections of poetry including Amber Necklace from Gdansk (LSU Press), Listen to the Landscape (Eerdmans Publishing), Ten Songs from Bulgaria (Cervena Barva Press). She has received honors from the Academy of American Poets, the National Writer’s Voice, and the Polish American Historical Association. She is the founder of the Contemporary Writers Series at Aquinas College and currently is a member of the Series’ programming committee. John Guzlowski writes poems about his family’s experiences in the Nazi concentration camps. His most recent books are Lightning and Ashes and the Pulitzer-nominated Third Winter of War: Buchenwald. His unpublished novel about German soldiers on the Eastern Front has recently been short-listed for the Bakeless Literary Award. John Minczeski’s books of poetry include Letter to Serafin (Akron University Press), November (Finishing Line Press), Circle Routes (Akron University Press), Gravity (Texas Tech). He’s the winner of the Akron Poetry Prize, a Bush Fellowship, and an NEA fellowship among other prizes. He freelances as a poet in the schools and does occasional adjunct work. 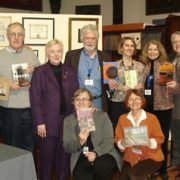 Leslie Pietrzyk is the author of two novels: Pears on a Willow Tree (Avon Books) and A Year and a Day (William Morrow). She teaches at Johns Hopkins and has received fellowships from the Bread Loaf and the Sewanee Writers’ Conferences. She is currently writing a novel about Polish immigrants in Chicago. Originally Published by Writing Polish Diaspora, click here to view article.